College of Mechanical and Electric Engineering, Soochow University, Suzhou 215006, China. The beam is an important component in agantry machining center, and its deformation is believed to have asignificant impact on both the machining accuracy and the machining performance. 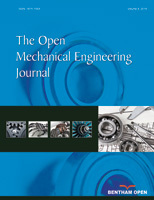 In this research, the finite element models of a complete gantry machining center and the crossbeam are established, in whicht he restraint and boundary conditions for the finite element analysis are also introduced. It is noted thatthe impact of balance cylinders on the key components is fully considered when dealing with the force analysis. Computed results of the static characteristic analysis showed that the maximum deformation is about 0.080925 mm when crossbeam operates under different conditions. Then, the distortion curve and the compensation curve of guide rail are obtained, and the equation of a fitting compensation curve is also deduced through numerical analysis. This research is expected to provide a theoretical guide for distortion compensation of the crossbeam.